World Vision International Nepal (WVIN)is an international Christian relief, development and advocacy organisation dedicated to working with children, families and communities to overcome poverty and injustice. WVIN wants to enable young graduates from Dalit and Marginalized communities to engage in transformational development through Internship Programme. Please check out below detail to apply for this opportunity. 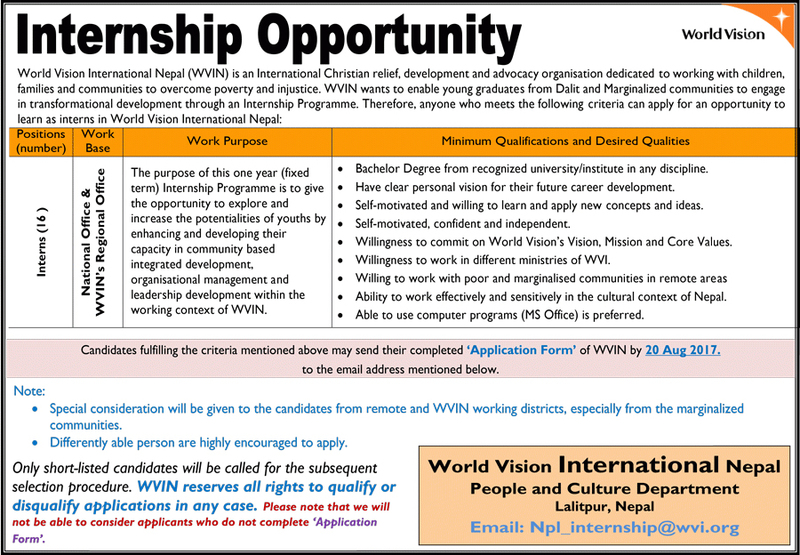 Please email at npl_internship@wvi.org for more details and queries.